You would think Halloween would be the favorite holiday for leftists. After all, you go to other people’s houses and get free candy. But since the entire process is voluntary, that spoils the fun for our coercion-loving statist friends. 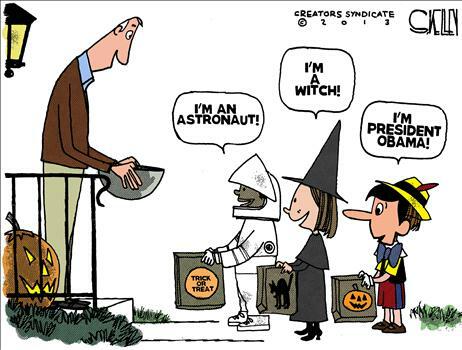 Which may explain why a lot of Halloween humor has a libertarian bent. My favorite example is the video of a comedian explaining how to teach your kids about taxes after they’re done trick-or-treating. 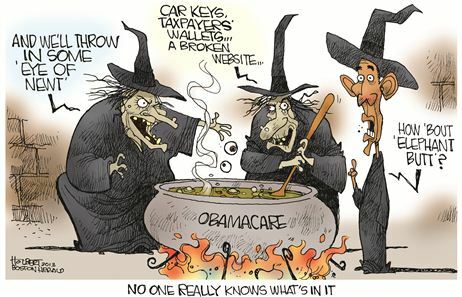 Today, though, we’re going to enjoy a bunch of cartoons, starting with this Jerry Holbert gem showing Obama and his senior staff putting together his healthcare plan. The part about taxpayer wallets is painfully accurate. 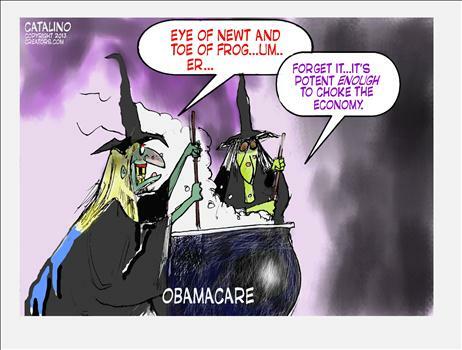 Sticking with the witch theme, Ken Catalino’s cartoon makes a good point about Obamacare’s economic impact. This Tim Hartman cartoon could have been taken directly from today’s headlines. 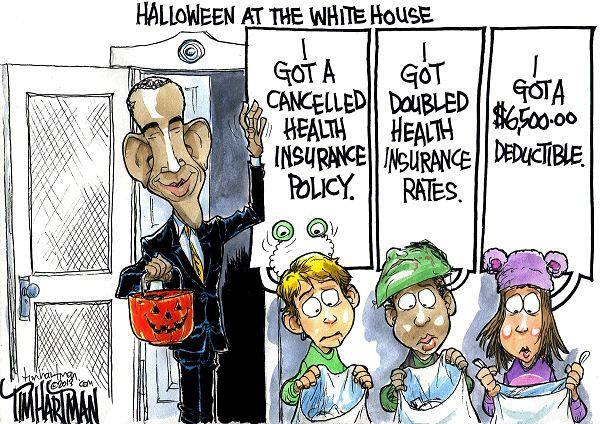 It seems kids always have bad experiences when they make Halloween stops at the White House. 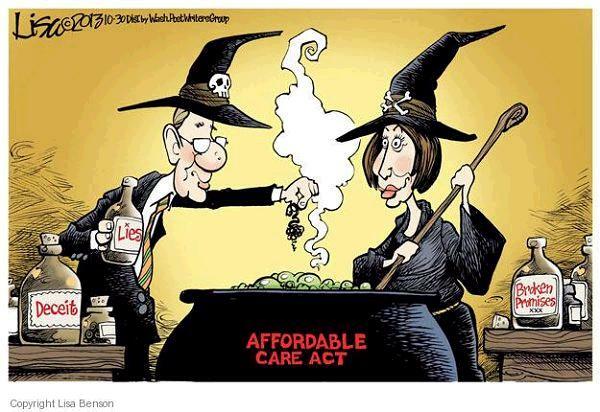 The witch theme returns with this Lisa Benson cartoon featuring Harry Reid and Nancy Pelosi. Steve Kelley mocks the President’s serial dishonesty about Obamacare in this cartoon. 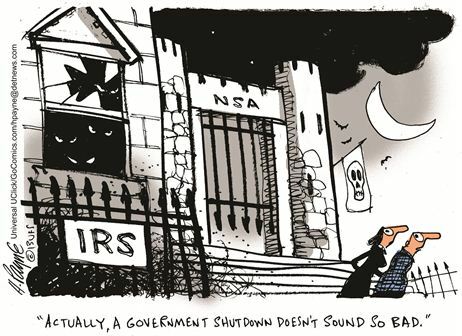 And this Henry Payne cartoon reminds us that maybe it’s not a bad idea to shut down the government. Hmmm…I think I’ve already seen that idea. 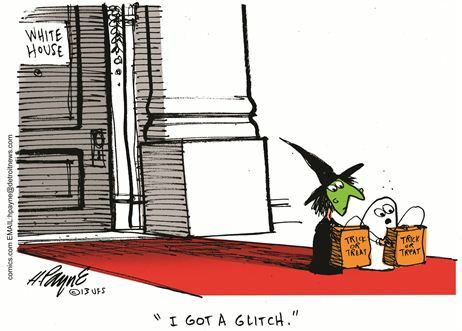 Yet another example of what happens when you trick-or-treat at the White House. Last but not least, here’s John McPherson celebrating some very scary costumes. Speaking of which, click here if you like mocking politicians. offensive showdown. I think there are numerous other variables that could determine what happens in Brazil in 2014. There could be key injuries and/or other variables that modify the program of what happens. several years remaining before the initial match even normally takes location. Just an observation but Halloween isn’t exactly voluntary. 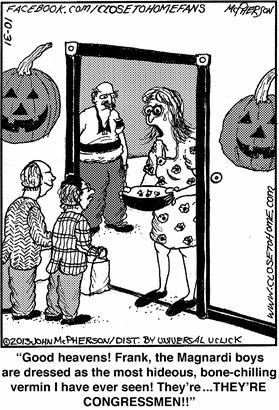 “Trick or Treat” implies a threat of “Trick” if the homeowner does not give a “Treat”. I repeat a question of a couple days ago. Am I the only one who finds it ironic that the same regulators who think that people are too stupid to be able to get an ID so they can vote also believe that those same people will sign up in droves on a website for Obamacare? Oddly enough, the most non-technical of them seem to have found their way in to sign up for Medicaid.